Okay, so I have to admit that avocados gross me out. The only way I can handle them is if they are hidden away in the middle of a sushi roll, otherwise it’s a “no-go” for me. However, just because I am not in to something doesn’t give me the right to decide if Penelope is or not, so I went ahead and got an organic avocado for her to try out. 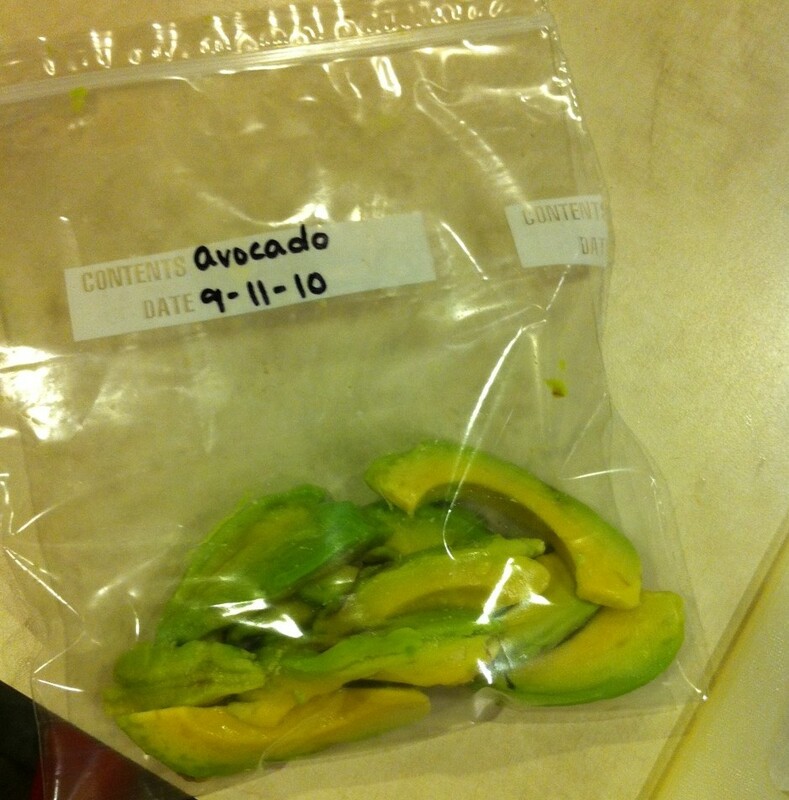 Avacados are a bit easier to prepare for baby food than the previous fruits and veggies. You actually do not have to cook or freeze them at all. They can be cut open, mashed up and served fresh to your little one, same as bananas. This would work perfect in a household where more than the baby enjoyed avacado so that the entire thing minus two teaspoons full wouldn’t go to waste. Here in my house, Penelope will be the only one munching away on it, so i had to figure out a freezing method in order to avoid being wasteful. Pick out a nice dark green avacado. You want it to be semi soft, but not overly squishy, nor too hard. 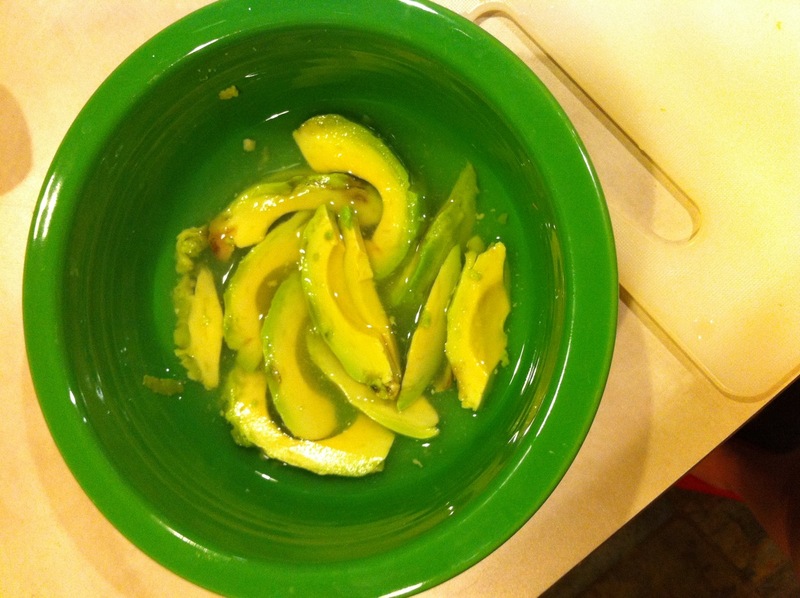 Cut the avacado in half lengthwise, twist apart and remove the seed. 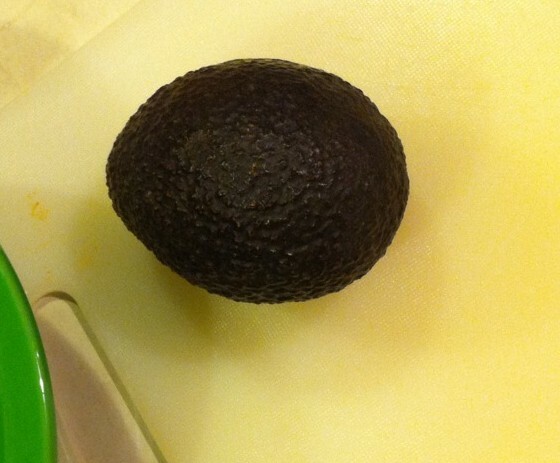 Using a small paring knife, slice the halved avacado (still in its skin) into wedges about 1/4″ thick. Once each half has been sliced, run your knife between the bottom of the segments and the skin so that each segment is freed and can be removed from the skin. To avoid browning in the freezer you will want to bathe the slices in a water/lemon juice mixture. Acidic fruits are not recommended for your baby (such as lemon) but a couple of drops in a water bathe to prevent browning will do no harm. Fill a small bowl about 2-3″ with water. Add 2-3 drops of lemon or lime juice. Place all the slices in the water. 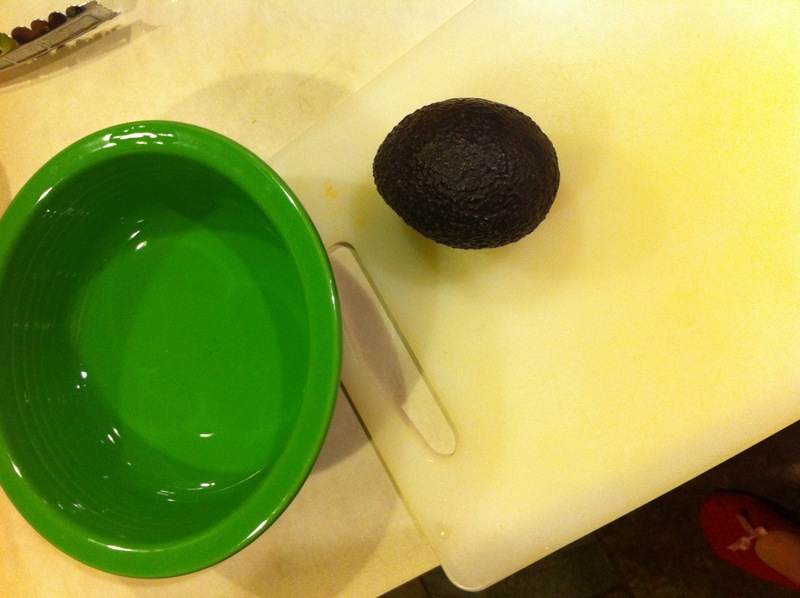 Remove all the slices form the water (they don’t have to soak, it’s more just like a quick dunk) and lay them out on a paper towel. Be careful, as the slices are very soft and breakable. Blot each slice with another paper towel to remove any excess water. You want to do this so that there will not be a layer of ice formed on the outside of each slice while frozen. It will also help keep the sliced from freezing together. 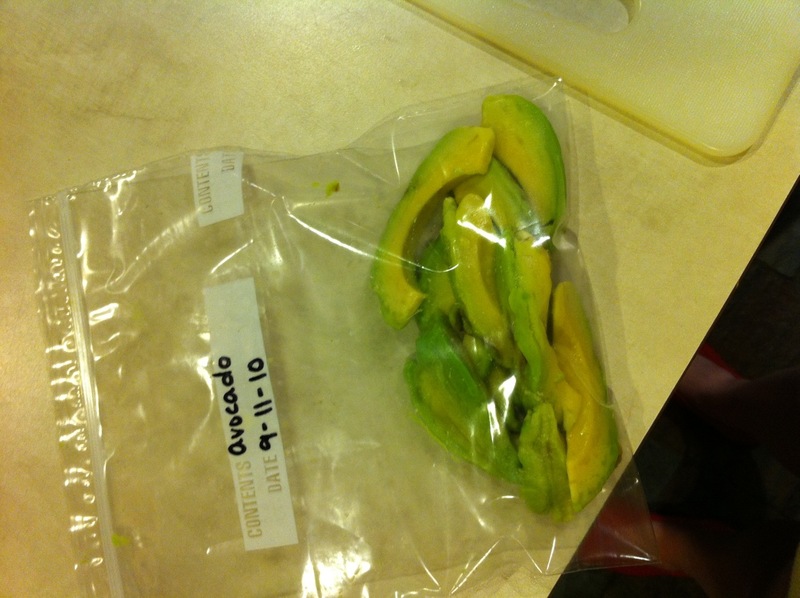 Take a freezer bag, mark it with the title and date and carefully place the slices in the bag. Place the bag in the freezer. That’s it! When you go to use the slices, just take out one or two from the freezer, thaw them out and then mush them up. Instant baby food! NEXT RECIPE: Apple Pear Blend! This entry was posted in Baby Food, Cooking, Parenting, Saving Money.